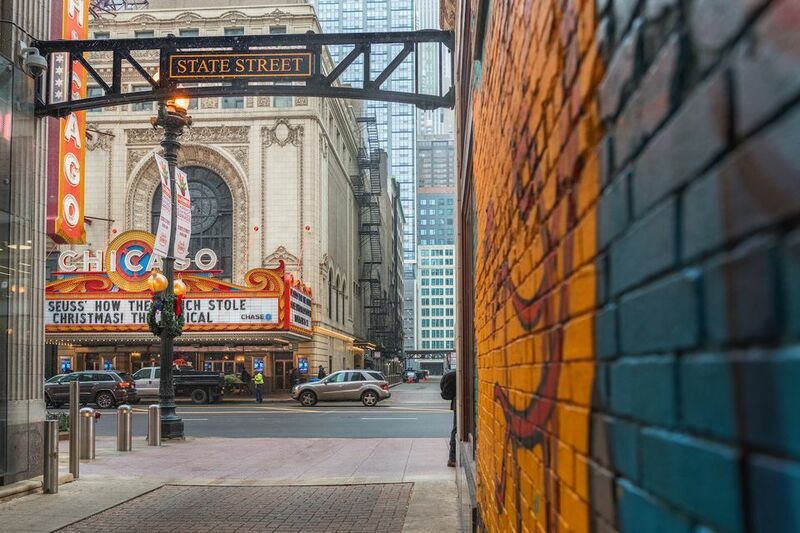 In the late 1990s, the Windy City revitalized its downtown theater scene, which is now thriving and in full force. Here's a list of the top Chicago theaters to catch a Broadway-style show, musical, dance performance or touring production. The Chicago Theatre is part of the same group that owns Madison Square Garden and Radio City Music Hall. It was built in 1921 to emulate French Baroque style, from the exterior featuring a miniature replica of Paris' Arc de Triomphe sculpted above its State Street marquee to the grand staircase patterned after that of the Paris Opera House. There are 3,600 seats in the theater and the stage has featured big names, including the likes of Harry Connick Jr., Duke Ellington, David Letterman, Prince, Diana Ross, Van Morrison, Widespread Panic and Robin Williams. The historic building housing PrivateBank Theatre opened in 1906 as the Majestic and was later renamed the Schubert. It has a long history of hosting Broadway-style musical productions, from classics like "Guys and Dolls" to modern hits such as "Monty Python's Spamalot." Address: 18 W. Monroe St.
Chicago's Cadillac Palace Theatre first opened in 1926 at the corner of Randolph and LaSalle. Completely renovated in 1999, it is currently home to major Broadway musicals, having hosted big hits such as "Aida," "The Producers," "Mamma Mia," "The Lion King" and the Oprah Winfrey-produced "The Color Purple". Address: 151 W. Randolph St. The national historic landmark is Chicago's premier venue for dance performances, from internationally acclaimed companies to local sensations. It is home, in fact, to the Chicago-based Joffrey Ballet, Hubbard Street Dance Company, and Thodos Dance Chicago. Address: 50 E. Congress Pkwy. The Goodman Theatre has been entertaining Chicago audiences since 1925, and its top-notch productions often lure well-known actors. It stages both classic and contemporary plays. The building itself houses two separate theaters, the Albert and the Owen, allowing them to have concurrent productions. Located on the first level of Water Tower Place, Broadway Playhouse was originally built as Drury Lane Theatre in the 1970s. In the early 2000s, Broadway in Chicago commissioned it for a few productions before renaming it Broadway Playhouse in 2010. Here, smaller-scale productions are featured that wouldn't make sense in venues like Cadillac Palace Theatre or Oriental Theatre - Ford Center for the Performing Arts. Address: 175 E. Chestnut St. The Chicago Shakespeare Theater adds some culture to the tourist mecca that is Navy Pier. And if you've shunned Shakespeare since being forced to read "Hamlet" in high school don't let that scare you off. The Chicago Shakespeare Theater productions bring the Bard of Avon's words to life and leave audiences engaged and delighted. Address: 800 E. Grand Ave. Built in 1929, Lyric's Civic Opera House exists as North America's second largest opera auditorium (only the Metropolitan Opera House in New York is larger with 3,800 seats). Its decor is a blend of Art Nouveau and Art Deco designs, and it seats up to 3,563 guests. The world-class concert venue specializes in opera (core classics, lesser-known masterpieces, and new works) as well as plays host to popular artists such as Yo-Yo Ma, David Byrne and Bryan Ferry. The Ford Center/Oriental Theatre has played host to the hit musical "Wicked" as well as a number of successful Broadway shows and stars like the Three Stooges, Judy Garland, Al Jolson, Stepin Fetchit, Sophie Tucker, George Burns and Gracie Allen, Cab Calloway, Duke Ellington, Stevie Wonder, Gladys Knight and the Pips and Little Richard. The theater originally opened in 1926, only to fall into disrepair in the 1970s, closing in 1981. It reopened in 1998 to much fanfare and has been playing to sold-out shows ever since. Address: 24 W. Randolph St.